EUROPEA Austria, in cooperation with the University College for Agrarian and Environmental Pedagogy, organised “Treffpunkt Hochschule” (meeting point: university college) and asked the question: “How much Europe does our green – agricultural VET need?” Almost 60 teachers, principals, students and staff representatives from all 9 provinces participated in this event on 28 November 2018. 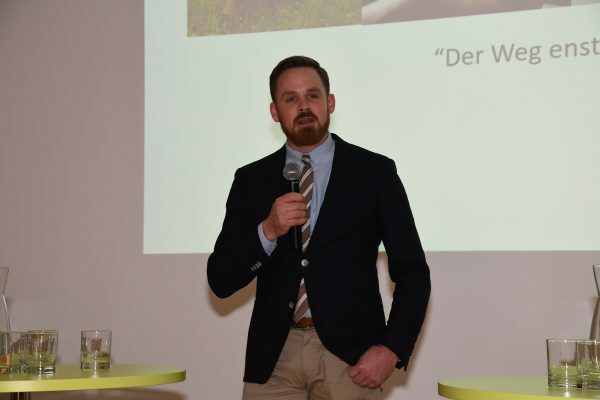 After completing the agricultural college in Raumberg (Austria) and graduating from agricultural university in Vienna (BOKU in Vienna), after exploring European agriculture with Erasmus+ our keynote speaker Philipp is now an organic farmer in Finland. In a double act Barbara and Elisabeth introduced the EUROPEA poster created in Retz and introduced the main aspects of the charta and its need for revision. In order to find out the opinion of the audience two questions were asked and the answers collected with the mentimeter tool. 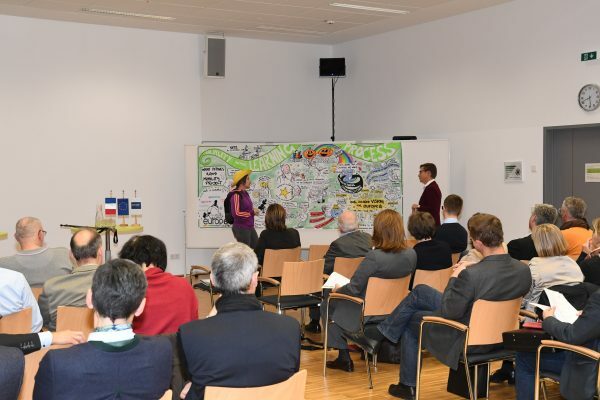 Participants see languages, digitalisation, structural challenges, diversification, networking, globalisation, professionalism and social competences as the main challenges. A curious hiker exploring EUROPEA! 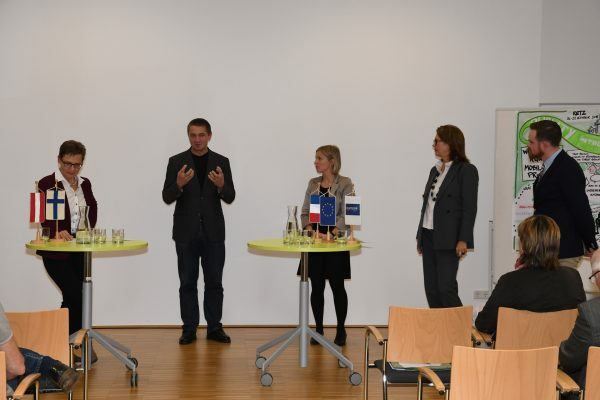 In the panel discussion with representatives of the school in Kobenz (Styria), teacher training college (HAUP Vienna), Rural Youth organisation and the working world questions on the benefits of international work placements, effects on national institutions and prospects for a “common agricultural – green – VET” were discussed. EUROPEA – interesting discussions on general education and agricultural VET in particular; and the certainty to know like-minded people everywhere in Europe dealing with the advancement of young people in the rural areas. The panel discussion with our guests Peter, Barbara, Beate and Philipp; a multi-facetted approach to tear down the walls in education – for pupils, trainees and students.